For almost 30 years, Bristol High School has pro­vid­ed stu­dents with first­hand expe­ri­ence of the judi­cial sys­tem in the United States. 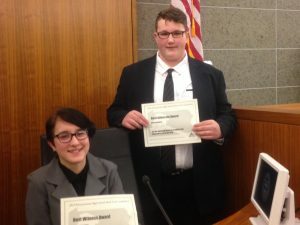 This year, the team –com­prised of most­ly under­class­men– were ready as the The Young Lawyers Division of the Pennsylvania Bar Associations spon­sored its 35th year of mock tri­al com­pe­ti­tion with the case of the “Commonwealth of Pennsylvania v Rae Shafer, M.D.” BHS rep­re­sen­ta­tives joined more than 300 high school stu­dent teams from across the state who were giv­en the oppor­tu­ni­ty to act as lawyers, defendant(s), and wit­ness­es. This year’s case cen­tered around on a holis­tic doc­tor whose pre­scrip­tion of opi­oids caused a lethal drug inter­ac­tion. Mock tri­al is expe­ri­en­tial learn­ing at its best. 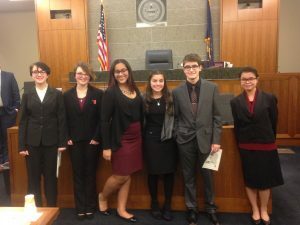 Students not only bond with their team­mates through hard work and col­lab­o­ra­tion, but also use their high­er order think­ing skills to iden­ti­fy the rules and nuances of the legal sys­tem. Public speak­ing skills are fine‐tuned, and the court­room becomes a stage for quick think­ing per­for­mance. 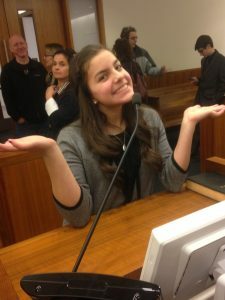 The tri­al per­for­mances, how­ev­er, must fol­low real court­room guide­lines, and they are over­seen by lawyers, judges, and clerks at the Doylestown Courthouse.